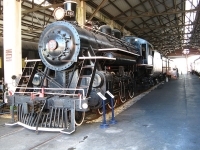 Kids will be delighted by the Gold Coast Railroad Museum, which offers train rides, toy trains to play with, and interesting model train exhibits. The museum's railroad car collection includes President Roosevelt's historic Ferdinand Magellan carriage. In March each year there are Thomas the Tank Engine rides for children. Model train building sessions take place between 10am and 2pm on weekdays, and between 11am and 4pm on weekends. Tours are conducted at specific times each day and cost a small additional fee - check the official website listed below for details. Opening times: Monday to Friday 10am-4pm, Saturday to Sunday 11am-4pm. Admission: $8 general admission, other concessions available.